I’m hoping you’ve already got over your New Years resolution to live only on beans and water, and you’re looking for some healthy variety in your life, because really, someone sent me some fava bean dips before Christmas and I thought they’d already been through a digestive system! Yurgh! We received the gift of Remoulade at Christmas and I was more than delighted. Now when I open my fridge I hear the sound of angel song and I reach straight for the pickley, mustardy, golden goodness. If you love a bit of sauce and haven’t come across Remoulade, it’s time to get condiment hunting. 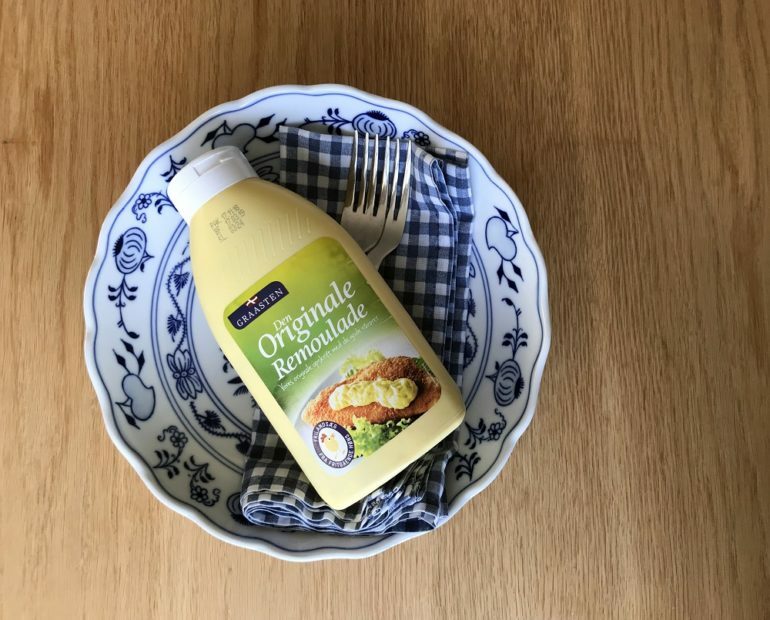 Our friends Gitte and Martin sent this from Denmark, and I’m yet to come across it in the UK, but websites like ScandiKitchen can hook you up for a price. In other delightful sauce news… black garlic ketchup. 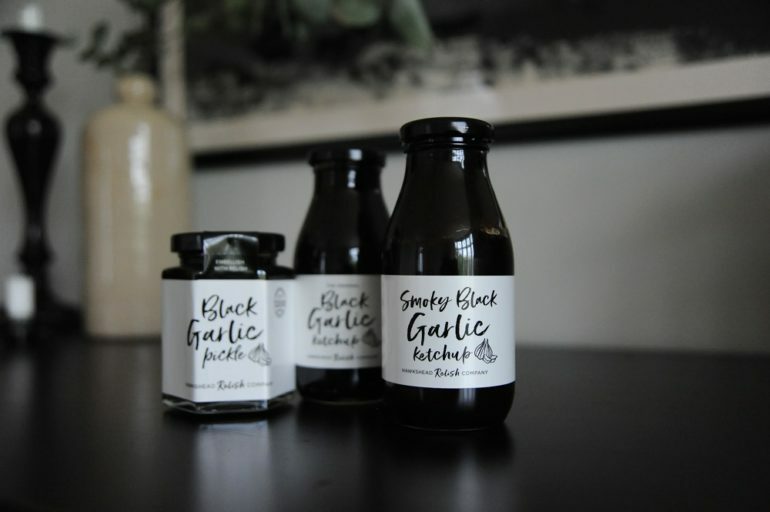 Smokey black garlic ketchup. Black garlic pickle – delicious, rich and caramelised, with squidgy sweet dates in it. Made by the Hawkshead Relish Company in a 16th century barn in Cumbria, I can’t imagine they could get anything wrong. The pickle is honestly the best I’ve tasted, and the smokey ketchup is really versatile… but especially good on chips! Late last year I spent 24 hours in Rotterdam, researching for a project, seeing some inspiring contemporary art, and eating some super things. 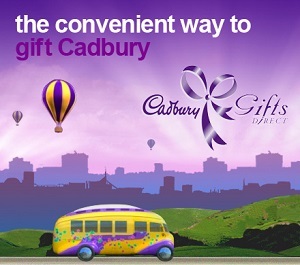 (You can read about it here). 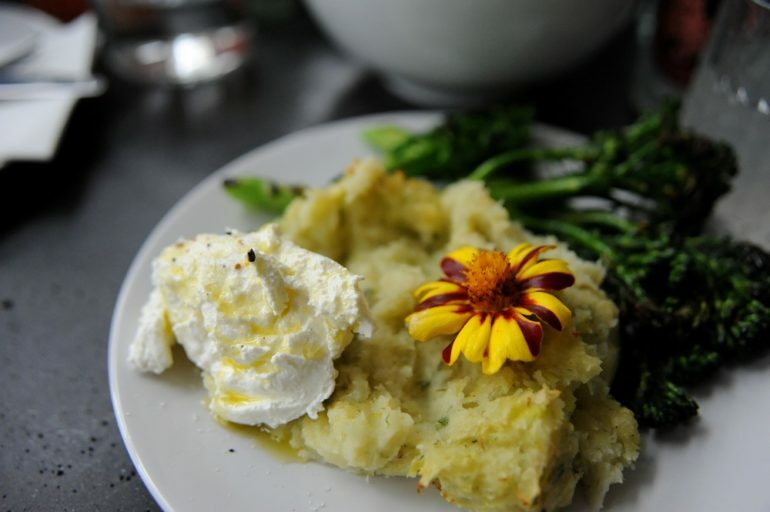 Op het Dak – a simple café serving healthy local food. 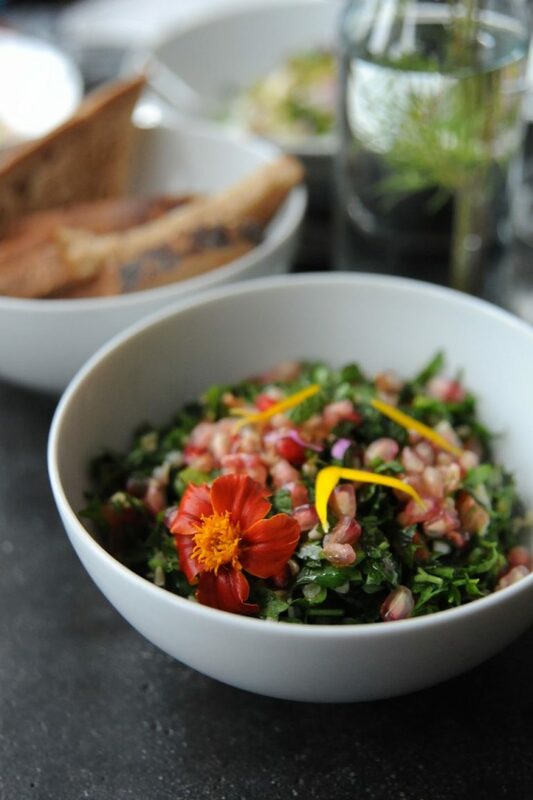 We ate flowers, hummus and tabbouleh, before exploring their outdoor space – the largest urban roof garden in Europe. 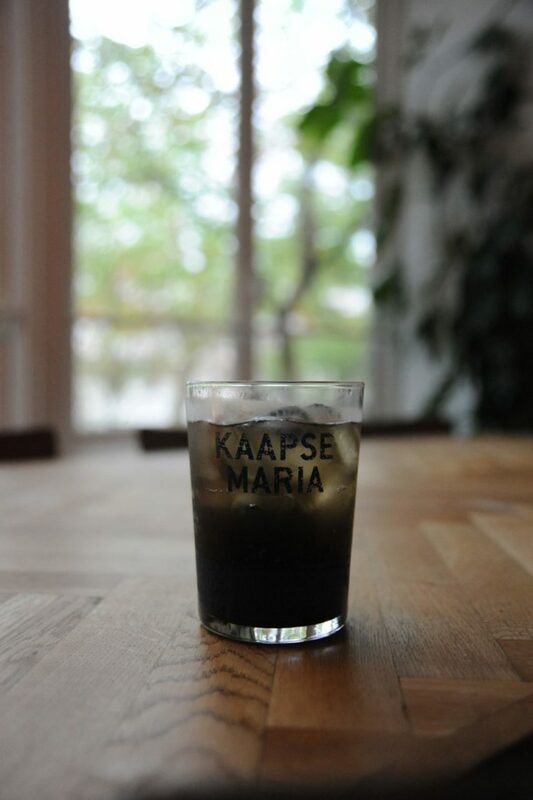 Kaapse Maria – for their amazing beers (but I drank homemade cherry cola and it was delicious). 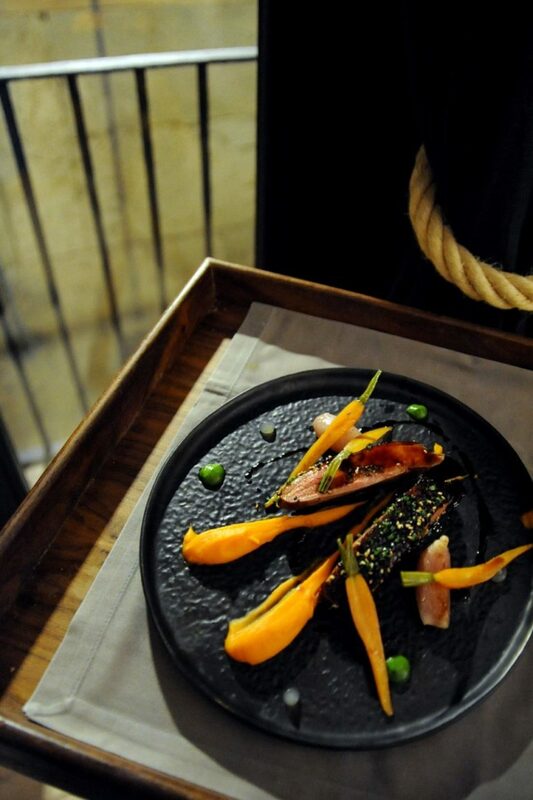 We enjoyed a brilliant and relaxed tapas style dinner at Ayla. 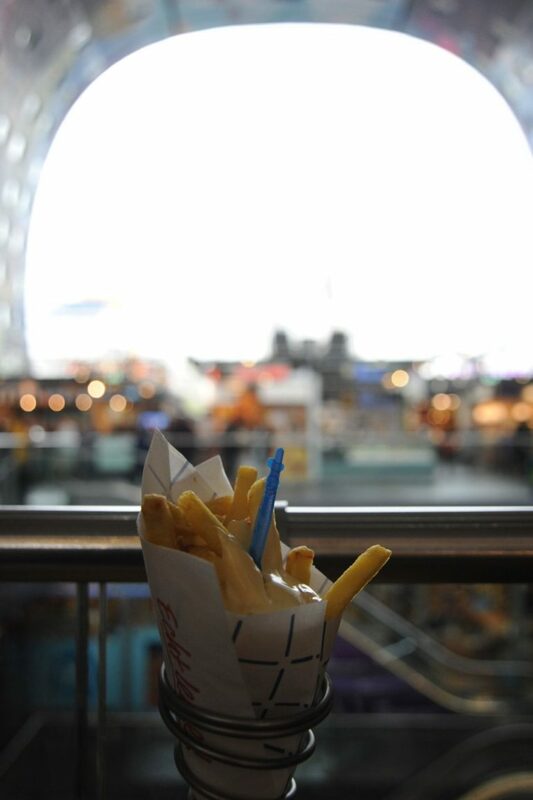 I just ate chips at the Markthal, but there is so much more there. I noticed it looks like a grown-up bouncy castle, made up of luxury apartments and delicious food offerings. Also at the end of last year I was lucky enough to travel to Mallorca for a few days and was treated to some super tasty food. We stayed at Son Brull, an amazing rural retreat (you can read about it here) and ate at their 365 Restaurant, which was understated and comfortable. Cobbled floors, white linen, subtle lighting, and on the tables, little wound-wire lamps that looked like they were modelled on potatoes. Sweet, soft, Cannelloni with duck and dark chanterelle mushroom. Suckling pig with apricots and sweet Tokaji wine. Prickly pear and fennel sorbet. All delicious, but then, dessert. On my list of things which I wish I could eat again (including rice pudding at Neemrana Fort and Sunday dinner at Nanny and Grandad’s), this incredible dessert. Pine nuts. Soft pine nut brownies. Tiny, beautiful, dark pine cones soaked in honey, rich with the sweet taste of the Mediterranean forest, like fresh cut wood. Creamy pine nut parfait. Pine infused cream. This may be the most beautiful dessert I have ever tasted. If woodland fairies exist, then this is what they feed on. At Fera Palma we ate rustic bread with apricot and kimchi aioli, followed by course after course of unusual dishes – Nori rolls with Aberdeen Angus beef tartare and truffle emulsion, corn mousse with pumpkin and crisped corn pieces, re-constituted olive with orange, suckling pig dumplings with Shimeji mushrooms, duck with carrot and yuzu, chocolate pudding with smooth olivey ganache. Full to the brim. 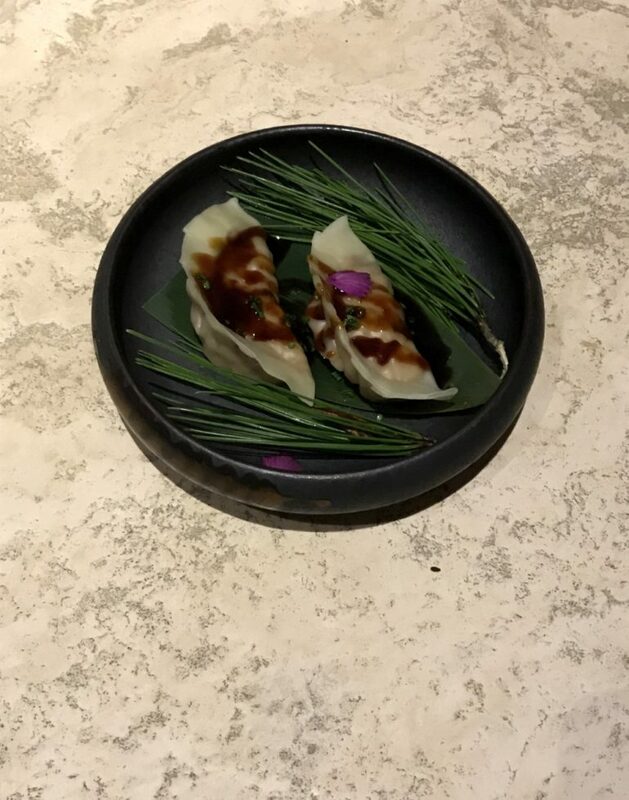 After dinner we waddled off to meet chef Simon Petutschnig who takes inspiration from Mediterranean and Asian gastronomy to create a cuisine he calls ‘Borderless Mediterranean’ – a cooking style that is not restricted to the style of the region. I now realise that I am a borderless fridge forager and I feel good for that! You might have seen my round-up of Winter Celebration foods, and you might remember I gave a mention to Three by One Europe for their amazing coconut products? Well, I just have to make a confession here, quickly, then I’ll move on. 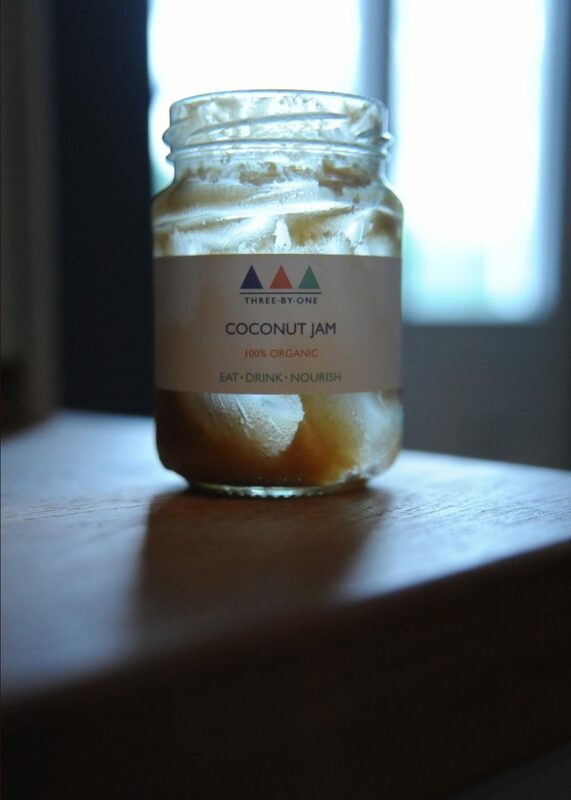 I’ve eaten this whole jar of Coconut Jam straight from the jar. It’s too tasty! I’d never seen, let alone heard of, School Bread until Adam brought this home with him. Apparently, it’s a thing in Norway, and a good thing too! 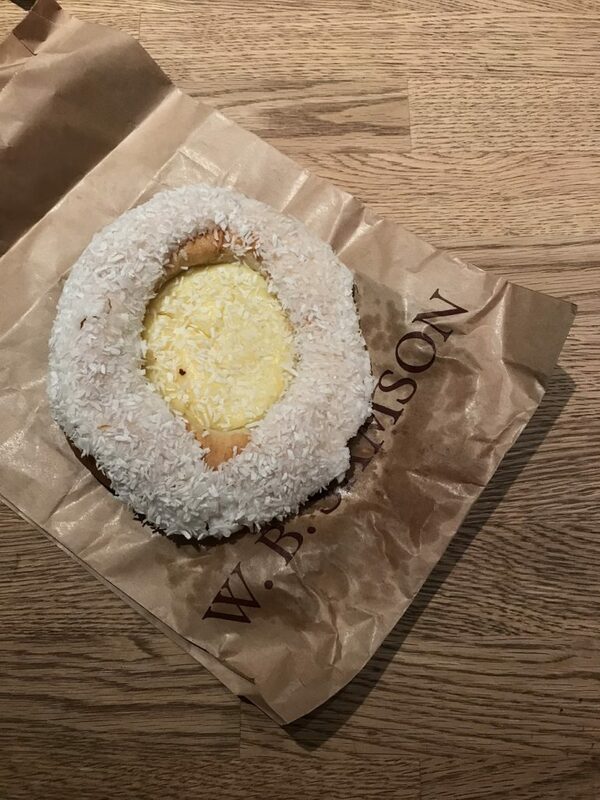 Basically a sweet bun with custard and shredded coconut. Substantial! And when I’m not ‘accidently’ eating pastries, I’ve been getting to grips with the Cali’Flour Kitchen. I love cauliflower, but I got stuck in a rut of making it the same (delicious) way – olive oil, turmeric, celery salt, roasted in the oven…. Yum! 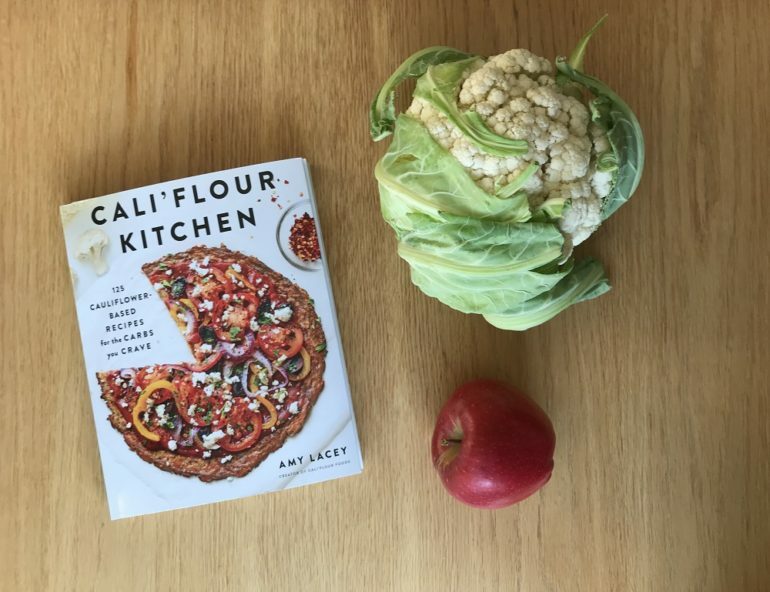 I’ve not yet made the cauliflower crust pizza, and I don’t think these recipes will replace the ‘carbs you crave’ but they will give you the means for having a bit more veggie variety, cutting down on the grains, and replacing your breakfast porridge with a cauliflower alternative – no joke! I’ll be back soon with some more Foodie Finds to share, until then, if you’ve got something you think we should know about, please get in touch… send biscuits!